In 1988, a TV show debuted on NBC that signified one of the finest marriages of music and television. Night Music, hosted by legendary saxophonist David Sanborn, presented the highest-caliber musicians of both the past and then-present, performing in an intimate setting at Chelsea Studios in New York. 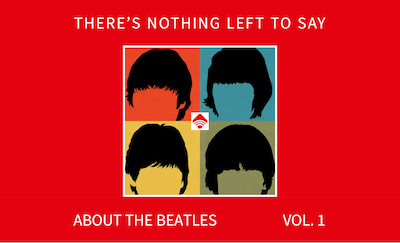 The show ran for two glorious seasons, and is fondly remembered by musicians and music-lovers alike. But Night Music also marks a pivotal moment in the history of American culture, an age just prior to the recent upheavals in the music industry. Downloading and streaming sites (legal and otherwise), media consolidation, and the death of NYC’s robust recording scene at the hands of synthesizers and home computers were many years away when Night Music aired. Nearly three decades later, the notion of a weekly network television series celebrating such a vast cross-section of music (and its greatest practitioners) seems even more revolutionary. Night Music originated when ABC Sports producer David Saltz approached Sanborn and his manager Patrick Rains about developing a music-based television project. Sanborn’s distinctive alto sax was known to jazz, R&B, pop, and rock audiences alike, making him uniquely qualified to host such a series. Inspired by the CBS Sound of Jazz programs produced by Robert Herridge in the 1950s, Sanborn and Rains set out to recreate that precursor’s spontaneity and immediacy in a modern setting. Lorne Michaels and Broadway Video agreed to produce the show, and secured Michelob as the primary sponsor. Jools Holland, keyboardist with Squeeze and host of BBC’s music video show The Tube, was chosen as Sanborn’s co-host. Finally, a house band was assembled featuring the cream of genre-busting NYC session players: drummer Omar Hakim, keyboardist Philippe Saisse, guitarist Hiram Bullock, percussionist Don Alias, and bassist/musical director Marcus Miller. The show immediately created a buzz in the music community, as Sanborn and company created an atmosphere where artists could deliver revelatory performances. Legendary jazzmen like Dizzy Gillespie and Stanley Turrentine, rockers like Joe Walsh and Randy Newman, and pop/R&B stars such as Al Jarreau and Patti Austin all performed at the top of their game. Dance pop diva Taylor Dayne sang alongside soul pioneer Curtis Mayfield. Jools even brought on his pals from Squeeze. Vintage black and white clips were also shown to spotlight the likes of Duke Ellington, Nat King Cole, and Billie Holliday. But the arrival of guest music producer Hal Willner, known for bringing disparate artists together in unorthodox combinations, was the series game-changer. Willner brought performers such as avant-jazzer John Zorn and “roots rock” heroes NRBQ on Night Music, and paired tenor sax giant Sonny Rollins with singer-songwriter Leonard Cohen. Willner’s sensibilities elevated the series to even greater artistic heights, and he was named full-time music producer by Season 2 (by which time Holland had left). Van Dyke Parks opened the Season 2 premiere with an unconventionally orchestrated “My Country ’Tis of Thee” featuring a Japanese koto. Other memorable moments include Todd Rundgren and blues master Taj Mahal teaming up for a spirited bit of Gilbert and Sullivan, Al Green shaking a tambourine while Sun Ra and his Arkestra performed “Space Is the Place,” and a rare 1980s TV appearance by Miles Davis. But the show possibly reached peak eclecticism when country star Conway Twitty sang “When You’re Cool,” as the avant-pop collective The Residents danced behind him dressed as giant eyeballs. Unfortunately, these captivating performances didn’t translate to huge audience shares. It also didn’t help that the NBC owned-and-operated stations broadcast the show at different time slots in every city. In April of 1990 a Downbeat Magazine article entitled “Somebody Save Night Music” described the program’s struggle for ratings despite its potential to bring sophisticated music to a mainstream audience. 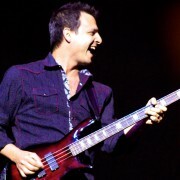 The show soldiered on with dynamic performances from the likes of Kronos Quartet, Red Hot Chili Peppers, and Artis The Spoonman (years before his collaboration with Soundgarden), but Michelob ultimately pulled the plug on Night Music just before pre-production was to begin on Season 3. So what is the legacy of Night Music? The show has never been released on DVD, and can only be seen today on YouTube, thanks to a VCR-owning enthusiast in Japan. But the discussions in the “comments” sections tell a compelling story: people not only miss the show itself, but they long for the days when great music could be seen and heard on television. Witness the success of web series such as Daryl Hall’s Daryl’s House, Stewart Copeland’s Sacred Grove, and NPR’s Tiny Desk series. As for Holland, he’s now chalked up two decades-plus with Later With Jools Holland in the UK. 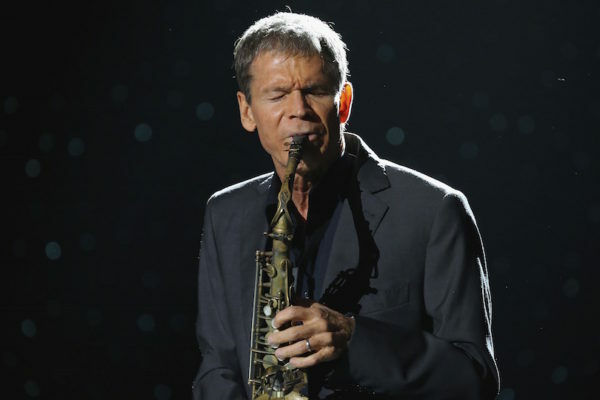 Music-lovers can also look forward to the forthcoming Sanborn Sessions from the home studio of David Sanborn himself. Night Music is important because it aired on a major American TV network and showcased our nation’s greatest cultural exports. Jazz, funk, the blues, and rock and roll are uniquely American creations that have continually inspired worldwide respect and fascination with the United States. Saxophonist Phil Woods summed it up in 1990, when he appeared on Night Music describing his State Department-sponsored tours with Dizzy Gillespie in the 1950s: “When the American government gets nervous they always send Dizzy to try and cool it out…I think if they sent Dizzy one more time it might cool out all this trouble we’re in right now!” When future generations seek to understand American exceptionalism in the 20th century, they ought to look no further than the “vortex of music and love” presented by David Sanborn and company on Night Music. PS. Check out our jazz lover’s guide to New York City. Plus, get a taste of hot jazz, courtesy of this exuberant Vince Giordano documentary.